Finally, we had arrived in Macau after an hour of ride from Hong Kong Ferry Terminal via TurboJet Ferry. 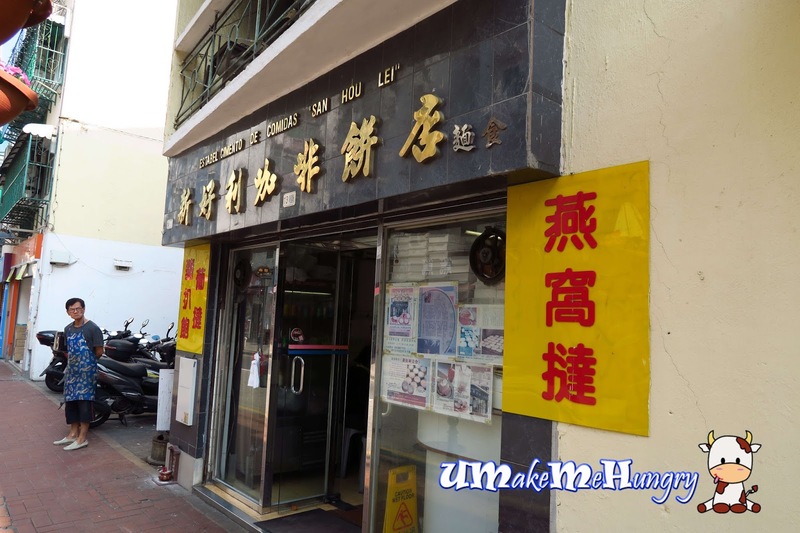 Passing by San Hou Lei 新好利美食饼店 and seeing the amount of lunch crowd, we joined in and manage to get few tables for ourselves. Interior was abit run down and reminds me of the coffeeshop we had in the 80s and early 90s. Eating area was rather spacious and occupying 2 shop spaces. We don't have much opportunity to drink soft drinks from these reusable glass bottles and this experience is part of the joy of travelling to country like this. 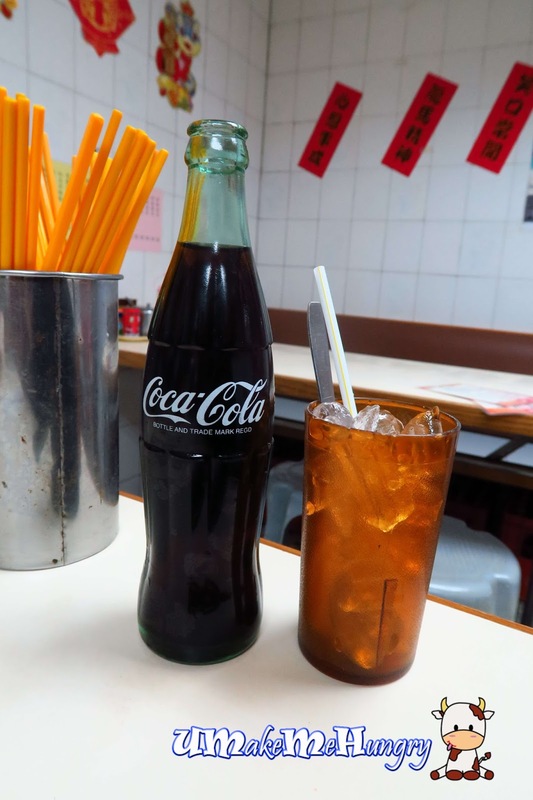 As the standards of living improved in Singapore and people are quite particular about hygiene we don't get to see such old bottles in F & B anymore. 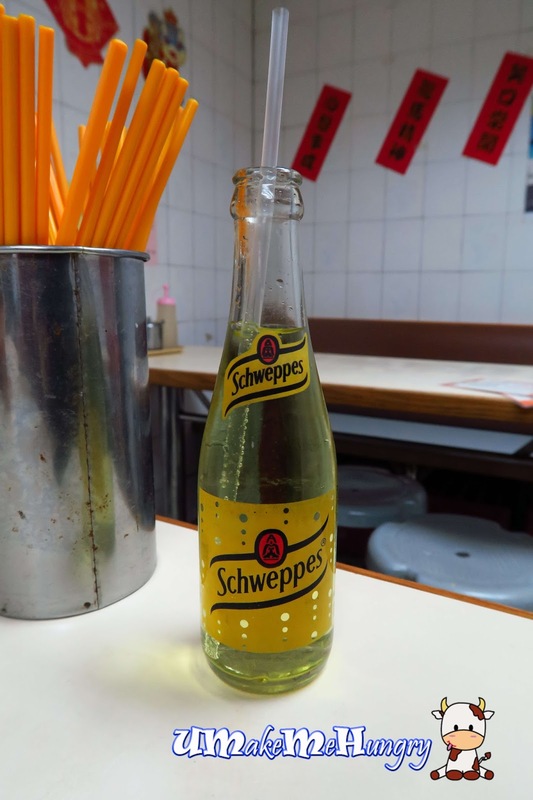 I have not seen Schweppes in glass bottle before and this was interesting. 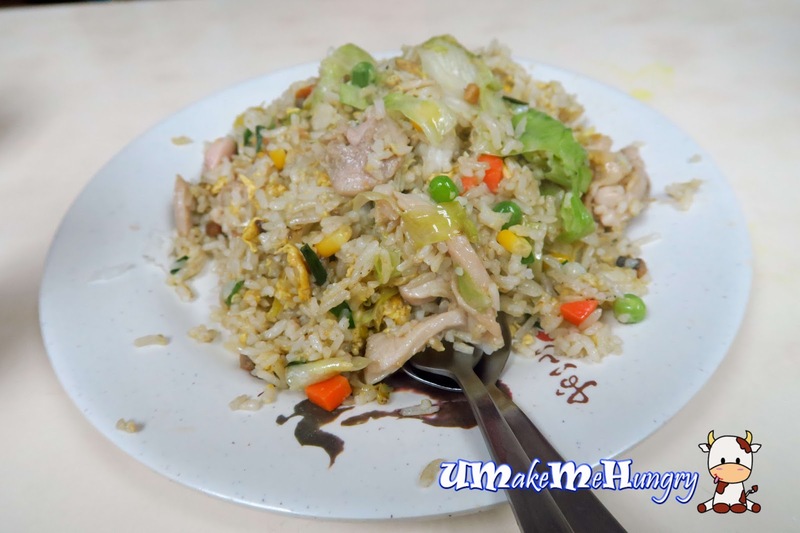 This chinese style wok fried rice dish is popular in many chinese restaurants throughout the world and ingredients vary from place to place. It consist of mixed vegetables, lettuce, egg and chicken cooked under wok fire to obtain such aroma. Since they were well known for their egg tarts, we bought a few types egg tarts to share among ourselves. They were freshly baked and hot from the oven. 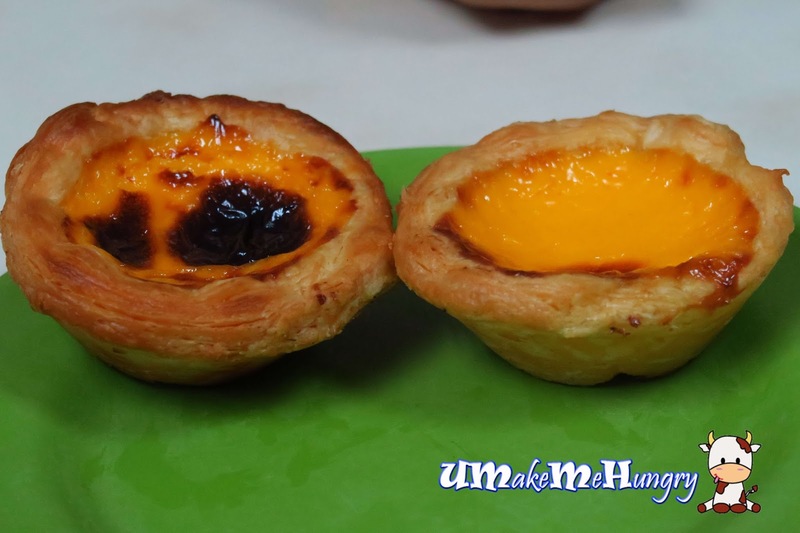 We ordered portugese style, bird nest and normal egg tarts. At least something special over here! Ever tried of bird nest tarts? We ordered some out of curiosity but none taste any close to drinking the real bird nest. Portuguese style egg tarts were good. 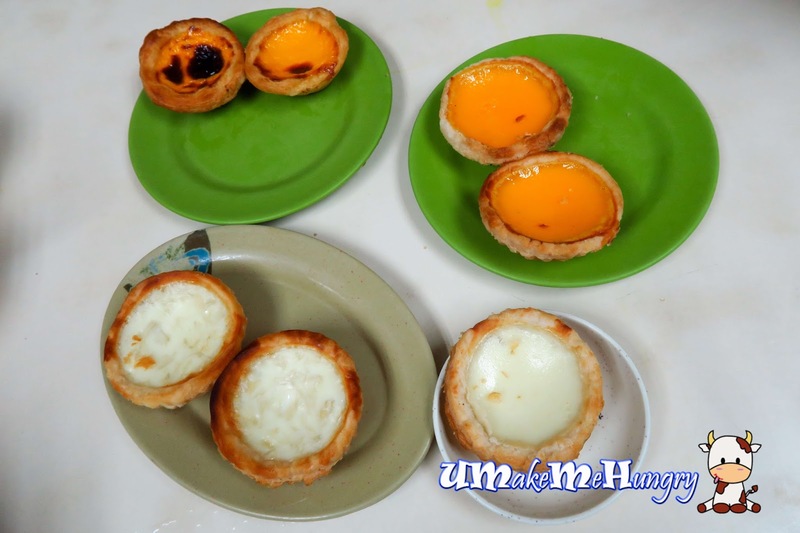 the layers of flaky buttery crust and the fillings with some part burnt were all the characteristics of how one Portuguese egg tart should look like.How to skip getting fat over these Macanese treats? The plate looked rather familiar back in Singapore I thought and I recalled it was used by one of the Thai Restaurant. 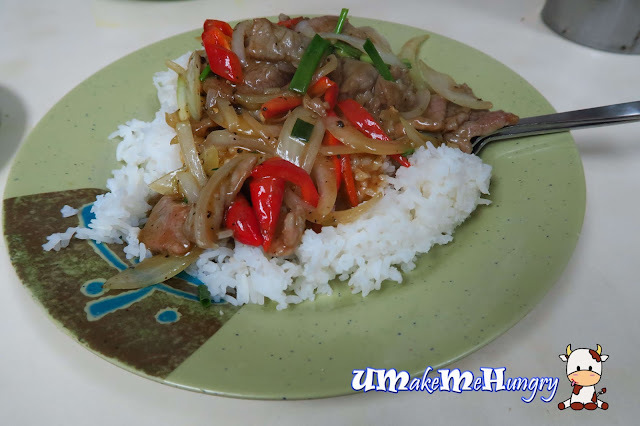 Black Pepper Beef rice was nothing unusual and in fact look typical in Asian Cuisine with ingredients like yellow onions, chilli, spring onions and beef slices cooked altogether with black pepper sauce. Here's at least some decent noodles with something we had all along through out the trip, Pork Chop. Just meat in noodle soup, simple and fuss free dish. Having too much pork chop lately, one of us was game was their beef noodles and went ahead ordering a combination with Wantons. Besides having pork chop in their noodle, another common Asian chinese dish is Beef Sirloin Noodles. 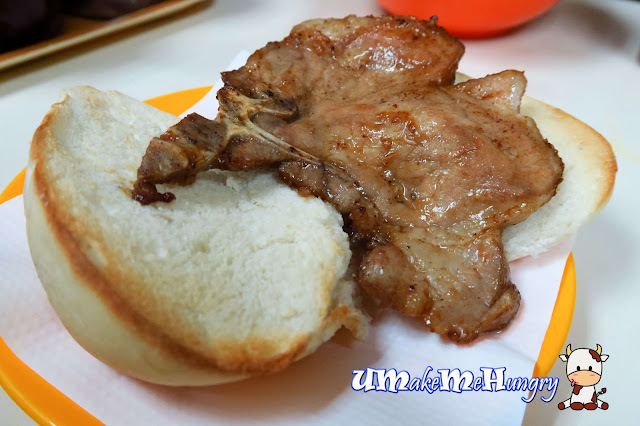 Pork Chop Bun was ordinary an do not have any wow factor. The slab of Pork Chop was rather oily and has a good portion of fats. 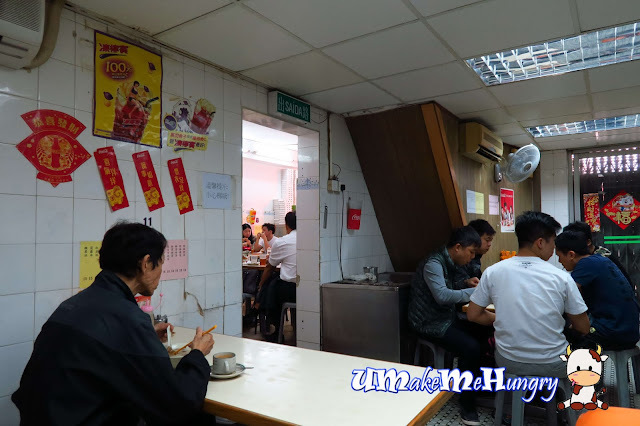 Such combination of food items may seem so common among the Hong Kee and Macanese, however as a Singaporean myself I would say my Wanton Noodle has kind of downgraded to instant noodle topped with a few Wantons and presentation looked kind of miserable. Nevertheless, the MSG soup and simplicity is already good enough to fill my stomach.